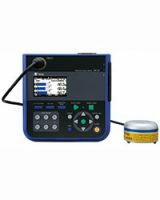 The VM-56 is a groundborne vibration meter capable of simultaneously calculating the measurement quantities defined by DIN 45669-1, ISO 8041 and other national measurement standards. Like other Rion products, it is characterized by excellent build-quality and exceptional ease of use. 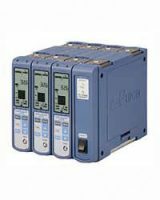 It is suitable for a wide range of applications including attended measurements, unattended surveys and live-to-web monitoring. 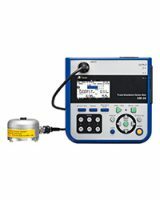 Portable vibration analyzer for equipment diagnosis and on-site measurements. Vibration meter with FFT analysis function. * Vibration meter mode: Allows simultaneous measurement of acceleration, velocity, displacement, and acceleration crest factor. 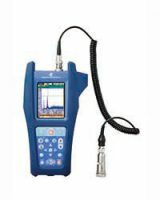 * FFT analyzer mode: Real-time analysis frequency 20 kHz, 3 200 spectral lines and available Envelope processing. * Waveform data storing on SD card for post process/analysis. 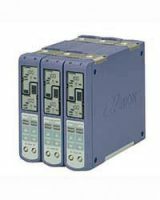 Flexible unit configuration allows simultaneous sound and vibration measurement. 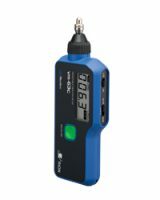 * UV-15 and UN-14 (Sound Level Meter Unit) can be linked in a measurement system with up to 16 channels. * Display shows parameters, measurement value, and bar graph indication. The UV-16 is a 2-channel charge amplifier that is compatible with the input of piezoelectric accelerometers and accelerometers with built-in preamplifier. * A multi-channel charge amplifier can be configured by coupling together a maximum of 16 units (32 channels). * Power: Optional AC adapter or Battery Unit (BP-17). 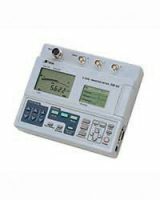 Vibration Level Meter compliant with the Japan Measurement Act and JIS C 1510: 1995 and JIS C 1517: 2014. 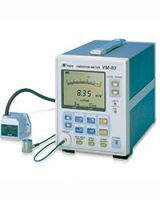 VM-54 is designed for various vibration measurements with tri-axial accelerometer. 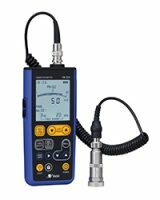 Optional program cards (VX-54 series) help you make human-related vibration measurements. Pocket-size vibration meter with integrated accelerometer. * Designed for quick and easy use in the field. * Suitable for preventive maintenance of industrial equipment, on-site quality control, product development, etc. displacement can be easily measured using a suitable frequency range, allowing comprehensive and precise evaluation of machine vibrations. Measure and evaluate vibrations using a piezoelectric accelerometer or the Servo accelerometer LS-10C. * Display characteristics can be switched to rms, equivalent peak and equivalent peak-to-peak, with maximum value hold and peak hold. * Connectivity for various kinds of accelerometers enables a wide range of vibration measurements. * Comparator function with level evaluation output.